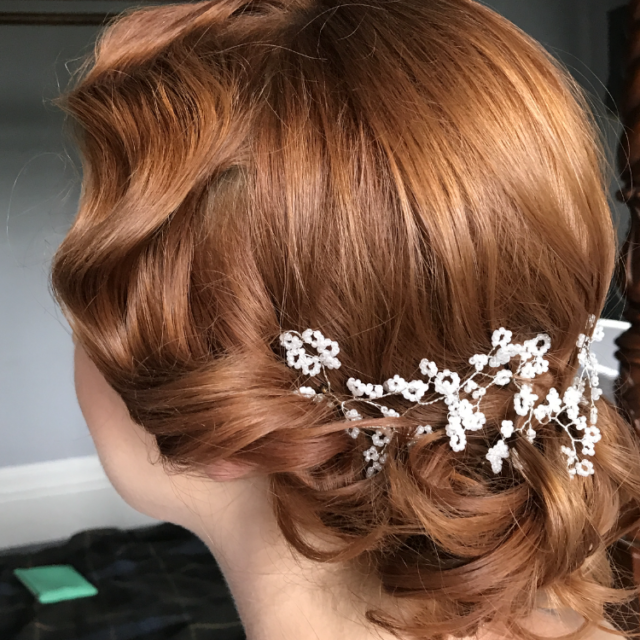 Whether you want a classic, vintage, modern or vintage hair style on your wedding day, at Wedding Hair Surrey, you are in safe hands! 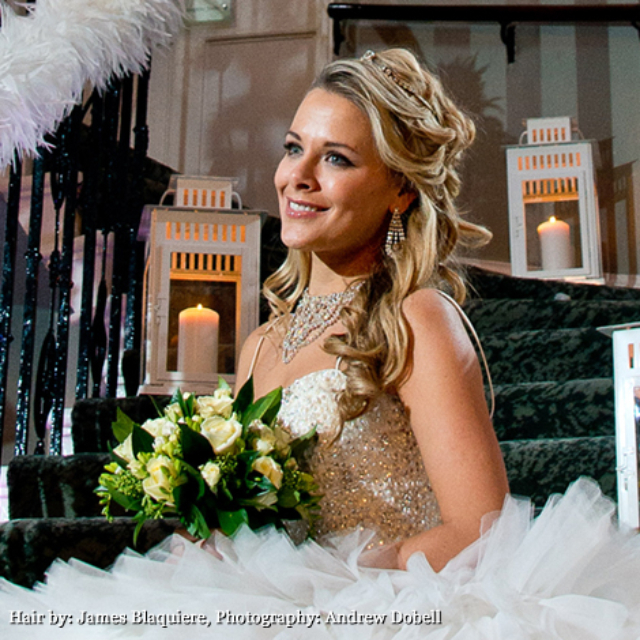 Helping you find a hairstyle on your wedding day that will make you feel nothing less than beautiful is our passion. 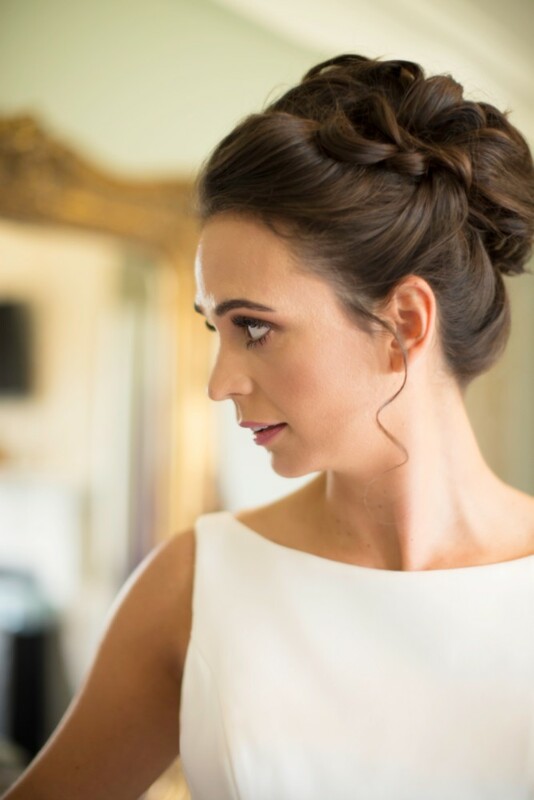 Professional bridal hair stylist James Blaquiere will ensure that your hair looks amazing, so you feel amazing, as you walk down the aisle to say, ‘I do’. 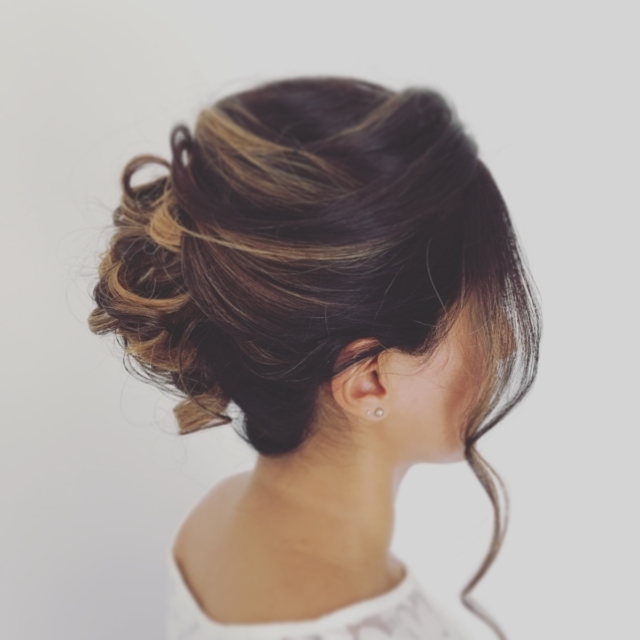 Braids, up-dos, half-ups, chignons – the choice is endless. 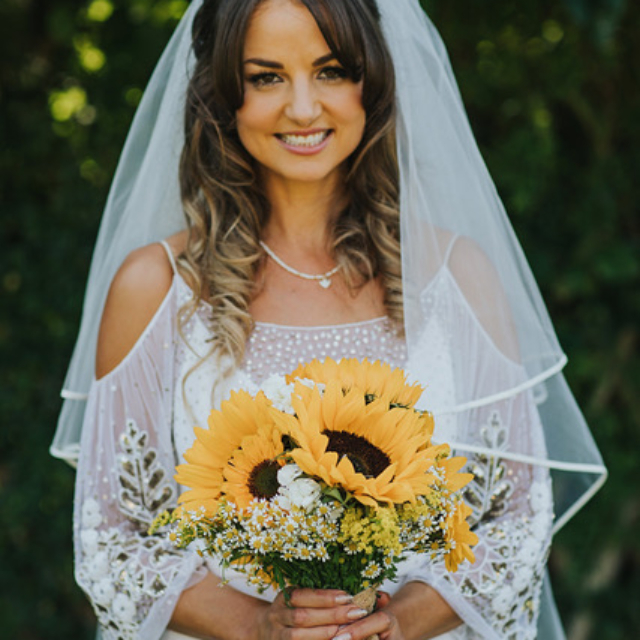 Your hair deserves as much attention as your dress and accessories and we will ensure you have a stunning and flawless style that will last the whole day and will photograph like a dream. 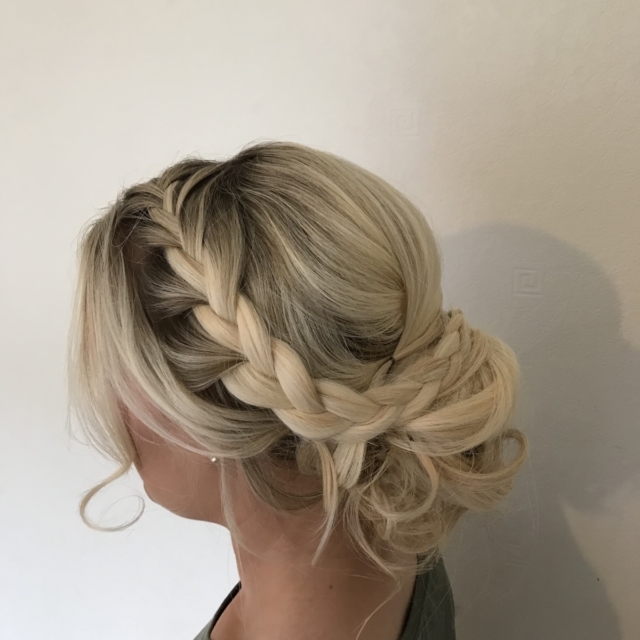 James has over 20 years’ experience in the world of hairdressing and hairdressing trade and has trained with renowned hairdressers like L’Oréal, Charles Worthington and Patrick Cameron. He has also brought his expertise to magazine shoots and London Fashion Week. On your big day, James will travel to wherever you are getting ready, whether it’s the wedding venue, a hotel or your home. He has a keen eye for detail and always offers a high quality service, tailored to your needs, as well as a friendly and happy face, who will help to calm your nerves. 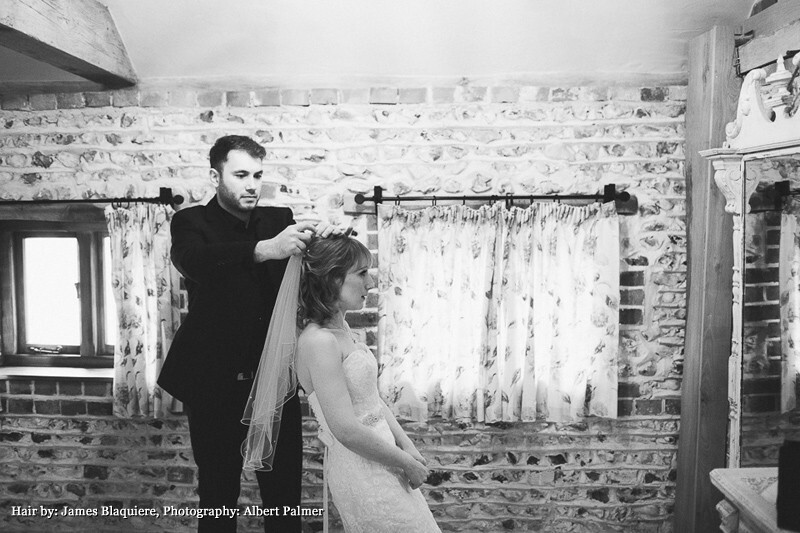 See some wedding hair testimonials and a gallery of his recent wedding hair styles. 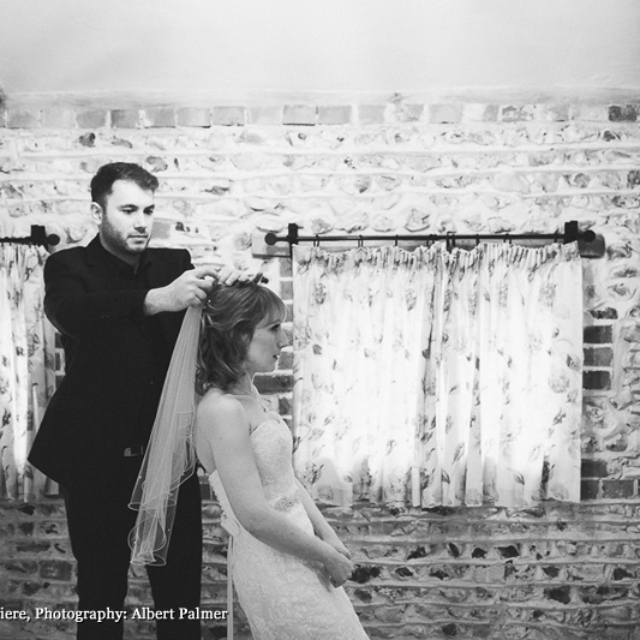 James is recommended bridal hair supplier for a local wedding venues, including Addington Palace, Beaumont House, Wotton House and Oaks Farm. 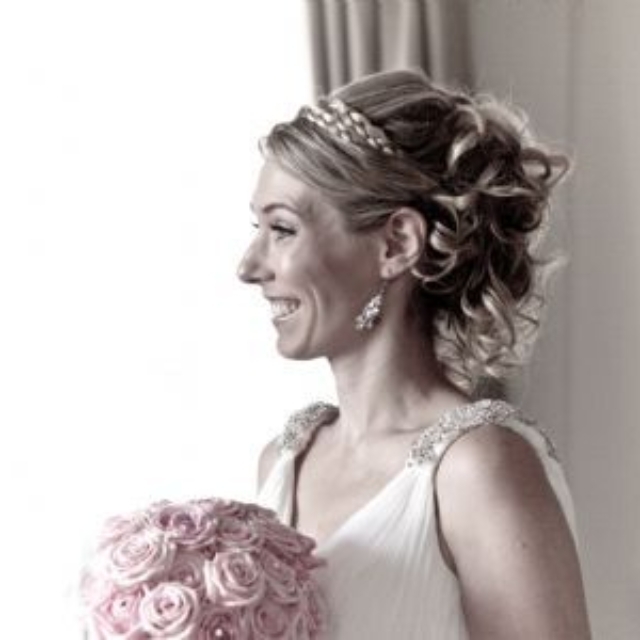 To discuss your wedding hair needs, please call now on 07875 261 432. 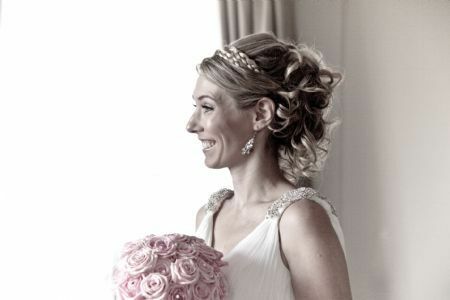 Wedding Hair Surrey brings style to you at your wedding location, leaving you with nothing to worry about! 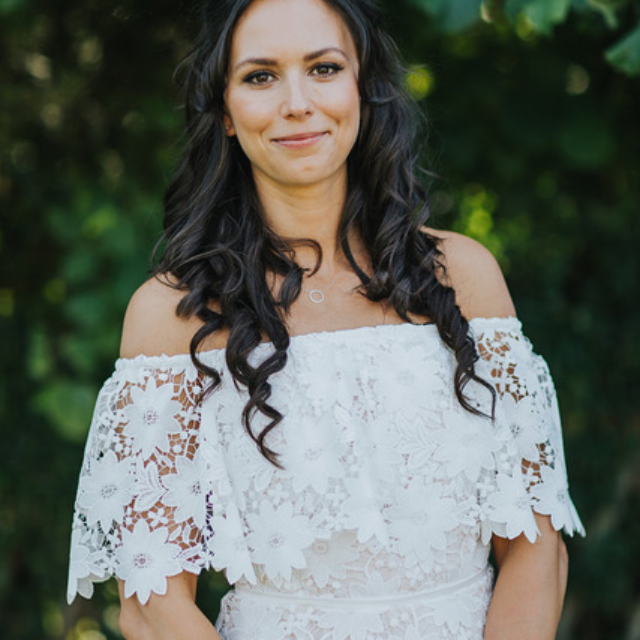 James will help to aid the smooth-running of the wedding morning and will help all brides with the timings, taking into account the other suppliers, dress and location. 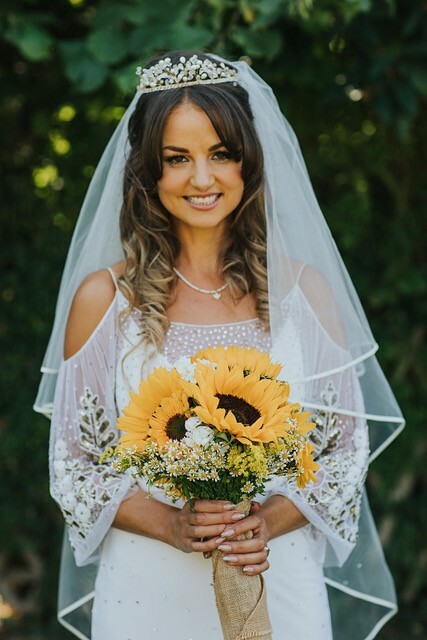 James is passionate about bridal hair work and sees it as enjoyable and important; he knows he has a big responsibility to make your day perfect, relaxed and enjoyable. He will also stay on hand to assist you with your final stages of getting ready and adding accessories, such as your veil. 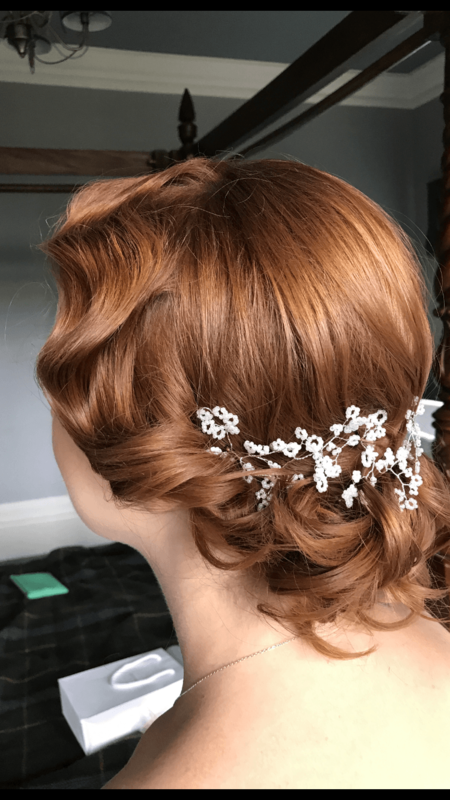 The process begins a month or two beforehand with a wedding hair trial, which is an important part of planning any wedding. James will help you design a look that you are happy and confident with and that suits you perfectly. Weddings are full of decisions, so we never leave this one to chance! We can discuss looks, take photos of styles and look at pictures so we can build up a picture of your likes and dislikes. We will take into consideration your venue, dress choice and accessories to ensure we create a look that you love. This will leave you with complete peace of mind and confidence. 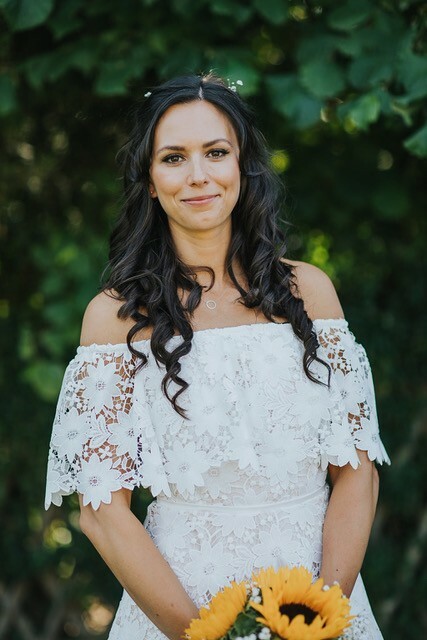 We offer a complete bridal party hair service, where we can style bridesmaids’ hair and the hair of mother of the bride. We can also look after flower girls and any guests who are with you on the morning of the wedding. We will ensure everyone is given enough time, so they look and feel wonderful! 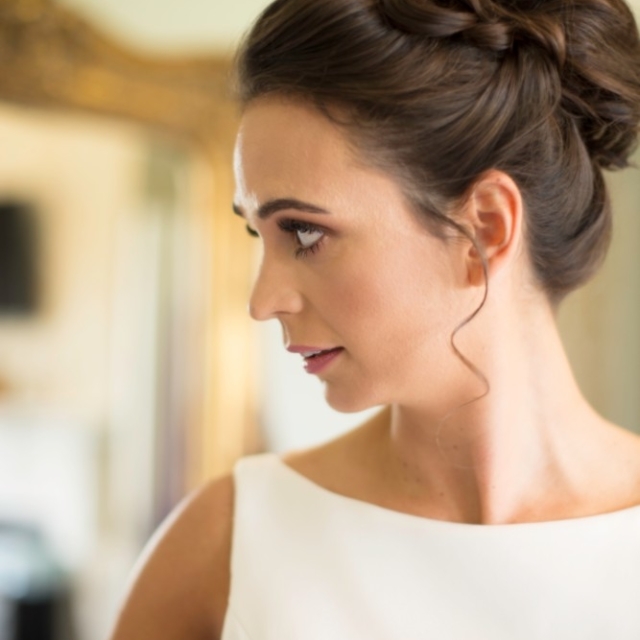 Call our wedding hairdresser in Dorking for stunning wedding hair! 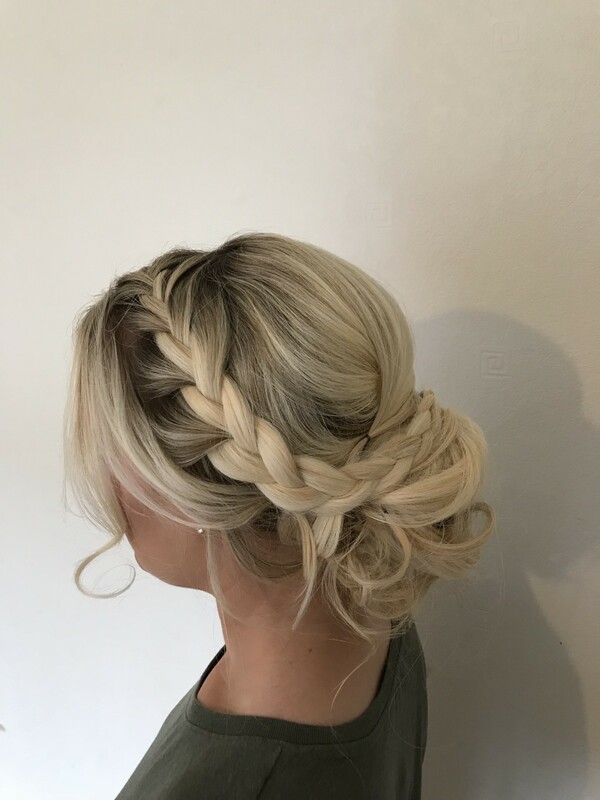 For all bookings and any no-obligation quotes for wedding hair packages, please call James on 07875 261 432 or fill out an online contact form and James will answer your enquiry promptly.